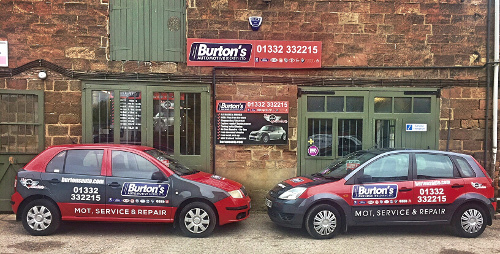 Burton's Automotive (Derby) are a family run business who pride ourselves on customer care and value for money. We provide high quality workmanship at competitive prices. We are proud to be based at the land mark site that is Darley Abbey Mills, but don't let the facade of the garage mislead you. We have to abide by heritage rules so externally we are limited as to what we can do. 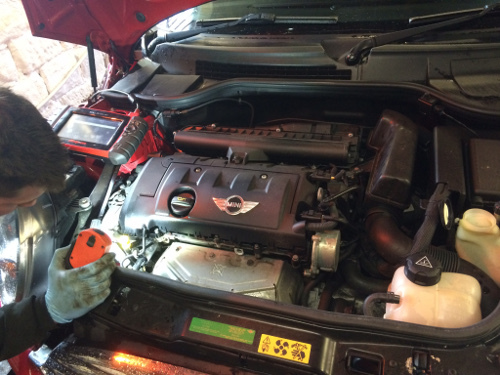 However inside you will find all the latest tech to provide you with a full diagnostic service on all makes and models. We have also remodelled the interior to provide a customer waiting area and new office suite. We offer a complete repair and service facility for all BMW MINI models. We are also one of the few garages that can support this with a fully trained BMW MINI technician. We do this by fitting genuine BMW parts as and when required so not invalidating manufacture warranties. This service is carried out at a fraction of the main dealer cost. So for piece of mind and a thicker wallet come and have a chat... you won't be sorry! We have an extra large 4 post lift which enables us to offer both service and repair to a selection of commercial vehicles – this allows us to offer a Trade and Contract service to businesses large and small. We have also recently fitted a new single post lift which will allow us flexibility when dealing with multi customer requirements. We will offer discounted rates for multi vehicle accounts and also service managing time scales. Call in and discus our contract rates. Let us take charge of your servicing requirements and watch your maintenance costs fall. Why not call in and have a chat, we are always here to look after our customers, existing and new. Find Us Behind The Big Chimney! Registered in England & Wales, Registered No: 08768990. Registered Office: 12 Darley Abbey Mills, Derby. DE22 1DZ. Website by: S-Design ©2016-2019 All Rights Reserved.